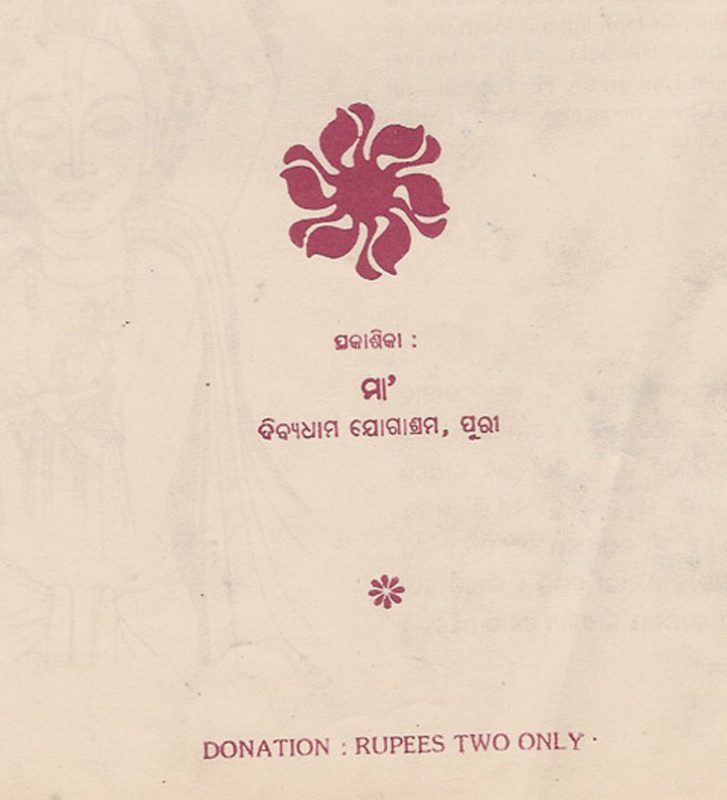 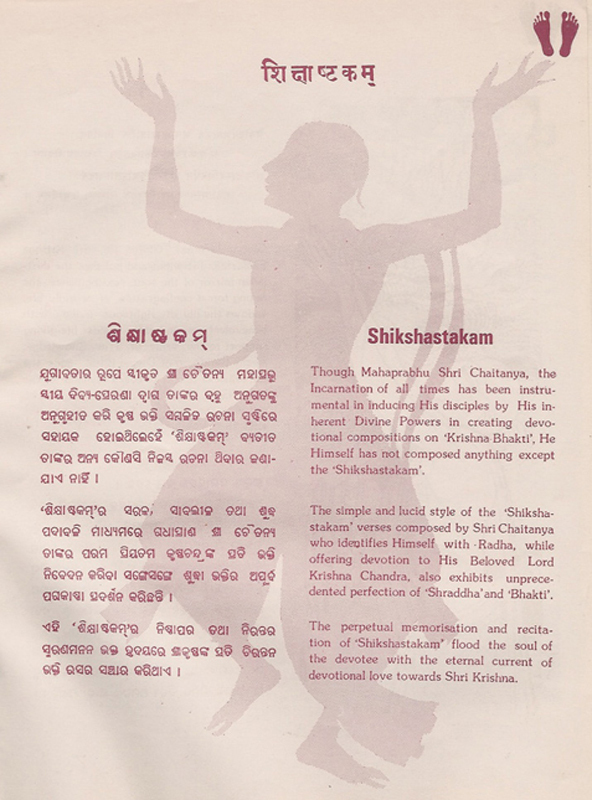 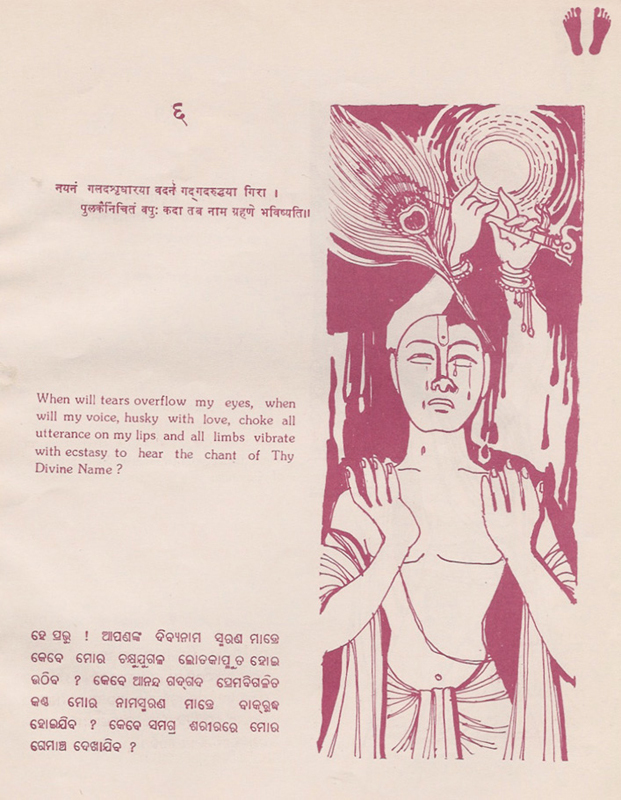 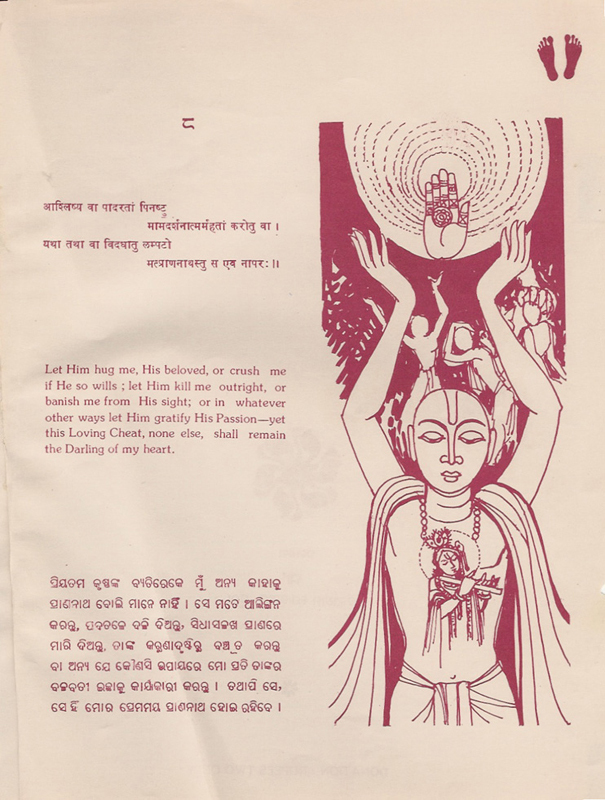 When I was in Puri, Orissa for the first time in March 2000, I picked this little booklet up for two rupees (about 5 cents). 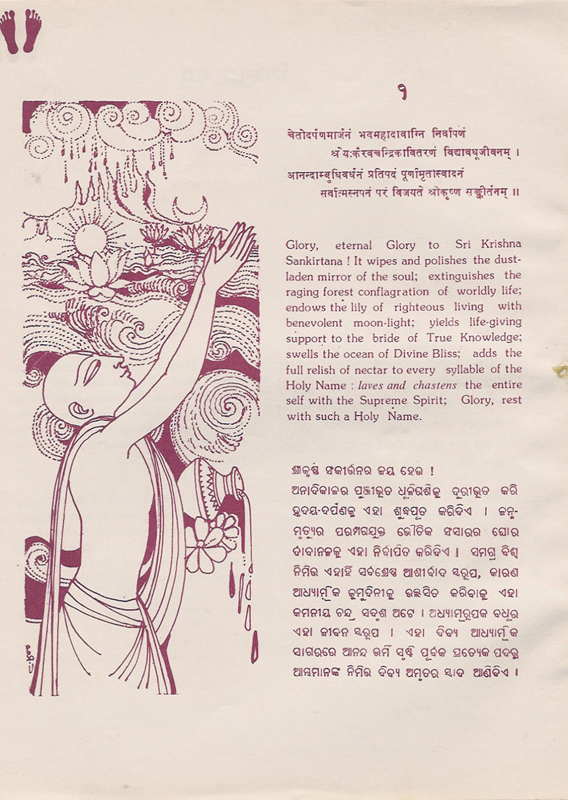 I found it beautiful and since it is not commonly available I have posted it on this site. 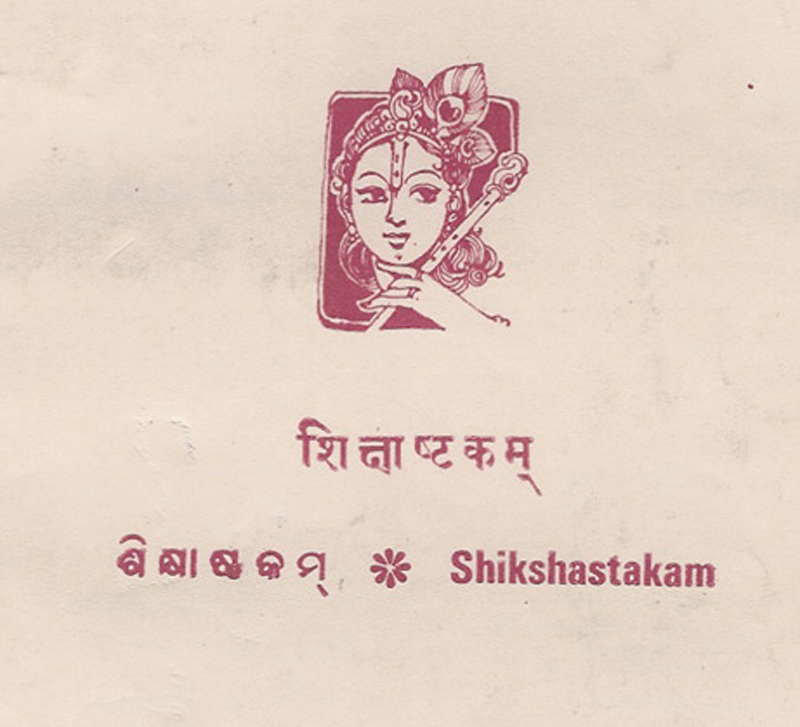 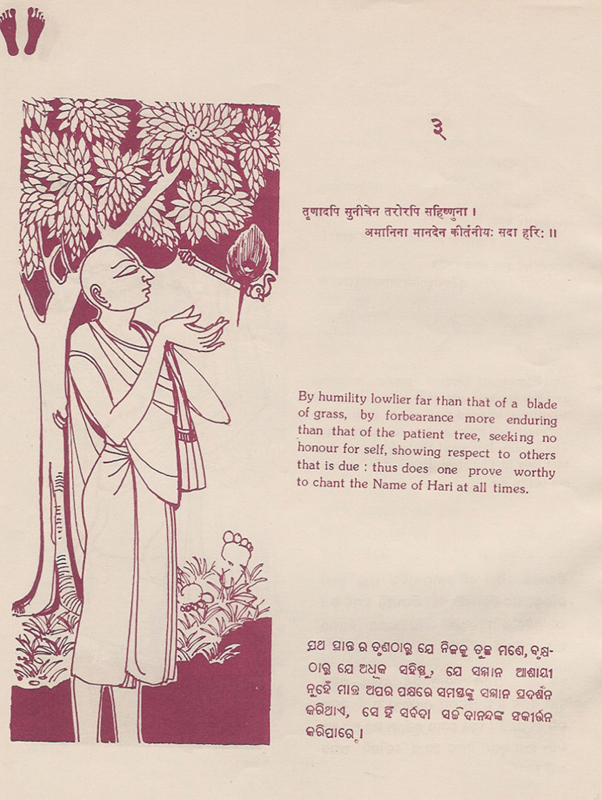 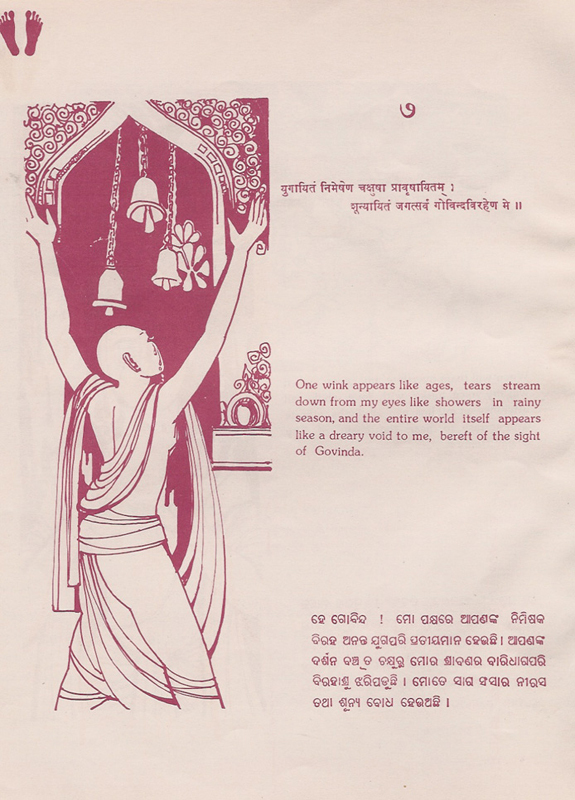 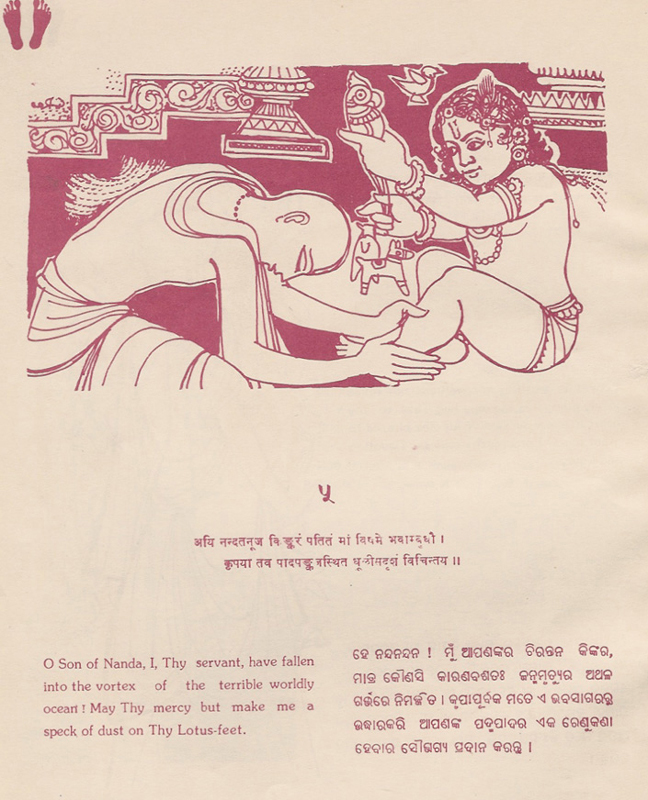 The first script is devanagari, the next English, then Oriya (sometimes pronounced Odiya, the correct sound is actually a combination of ‘R’ and ‘D’). 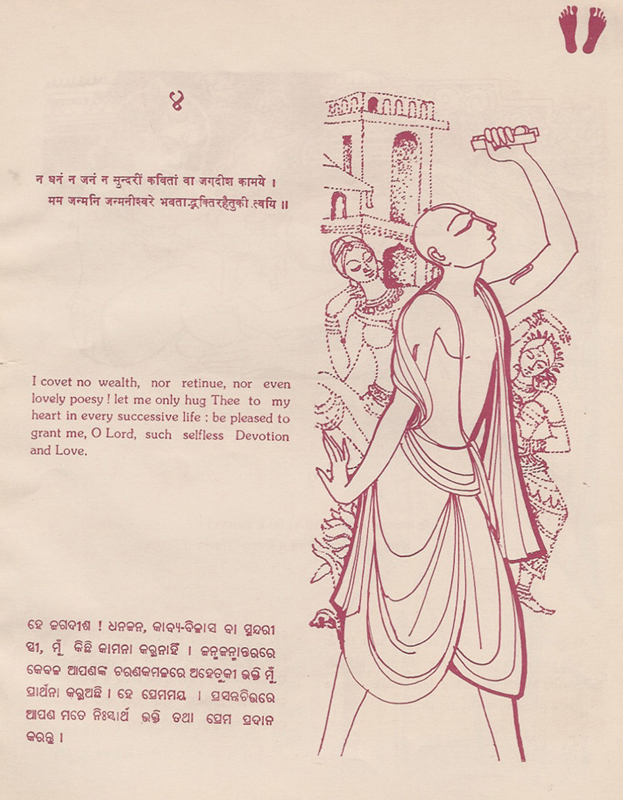 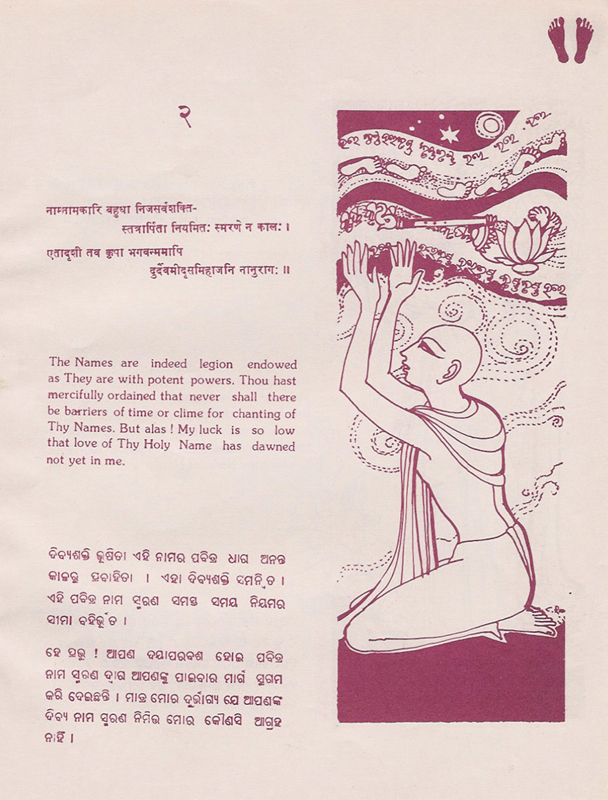 Oriya is the common script used in Jagannath Puri, Orissa.